1. Defence Minister Arun Jaitley on August 27, 2017 over long-range surface-to-air missile to the Indian Navy. The missiles have been developed jointly by India and ______. Explanation: Defence Minister Arun Jaitley handed over the Long-Range Surface-to-Air Missile (LRSAM) jointly developed by India and Israel, to the Indian Navy, at Bharat Dynamics Ltd (BDL) in Hyderabad. LRSAM is an advanced combat suit for missile defence against air targets and missiles, and has full capabilities of air and surface surveillance, threat alert and fire control. Public sector BDL is the missile production agency for the three armed forces. 2. Under the 'Kanyashree Prakalpa' scheme girls get an annual scholarship of Rs. ______. Explanation: Under the 'Kanyashree Prakalpa' scheme girls get an annual scholarship of Rs. 750. if annual income of her both parents is up to Rs. 1,20,000. The age range of girls is between 13 years to 18 years. 3. The new Rs. 50 note has a dimension of _______. Explanation: The note has geometric patterns aligning with the overall colour scheme, both at the obverse and reverse. Dimension of the banknote will be 66 mm x 135 mm and will bear motif of Hampi with chariot and will carry the signature of Urjit R. Patel, Governor, Reserve Bank of India. The base colour of the note is Fluorescent Blue. 4. The 2016 Biju Patnaik Award for Scientific Excellence was awarded to _________ . Explanation: Odisha Chief Minister Naveen Patnaik conferred Biju Patnaik Award for Scientific Excellence for the year 2016 to Prof Digambar Behera. Behera is senior professor & Head, Department of Pulmonary Medicine, PGIMER in Chandigarh. The award is given to an Odia Scientist working any where in India or abroad each year for his/her lifetime research contributions in field of science & technology. 5. Who won the 2017 UNESCO Peace Prize? Explanation: The UNESCO has awarded its Peace Prize to Giuseppina (Giusi) Nicolini, the mayor of the Italian island of Lampedusa, for her commitment to saving the lives of migrants and refugees. Lying closer to Tunisia than it does to Sicily, Lampedusa is the first European landfall for people fleeing war and economic hardship in Africa and the Middle East. Explanation: “RTGS” stands for Real Time Gross Settlement. It is a funds transfer mechanism where transfer of money takes place from one bank to another on a “real time” and on “gross” basis. The minimum amount to be remitted is Rs 2 lakh. There is no upper ceiling for transactions, though individual banks may set a limit. Explanation: An initial public offering (IPO) is the first time that the stock of a private company is offered to the public. IPOs are often issued by smaller, younger companies seeking capital to expand, but they can also be done by large privately owned companies looking to become publicly traded. Some recent and upcoming IPOs are: Cochin Shipyard IPO, SBI Life Insurance IPO, Khadim India IPO, etc. 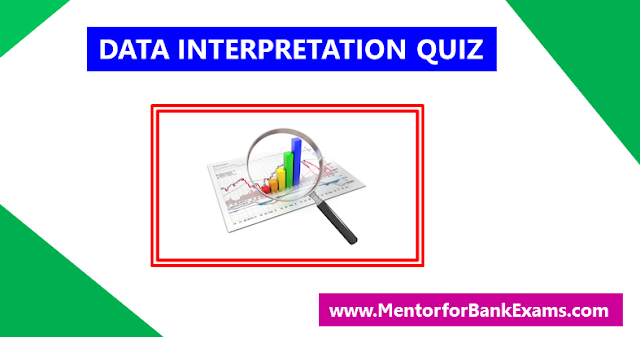 Explanation: The current ratio is a commonly used liquidity ratio that measures a company's ability to pay its current liabilities with its current assets (Current ratio = current assets/current liabilities). For example, suppose for a firm X, total current assets = 1000 and total current liabilities = 2000. Therefore, current ratio = 1000/2000 = ½. It means that the company has only Rs ½ in current assets to pay for every Rs 1 of liability. This is clearly not a healthy situation for the firm. Therefore, a decreasing current ratio indicates that the liquidity of the firm is under strain. Contrarily, an increasing current ratio indicates a strengthening liquidity. 9. The RBI reviews its credit and monetary policy at regular intervals and also in between. What is the purpose of the same? (1) To ensure that inflation does not cross the limit. (2) To ensure that banks have enough liquidity. (3) To ensure that cost of the fund does not reach a very high level. Explanation: The objectives of the monetary policy of India, as stated by RBI, are: maintaining price stability, controlled expansion of bank credit, promotion of fixed investment, restriction of inventories and stocks, promoting efficiency of the financial system, and reducing rigidity in operations. 10. 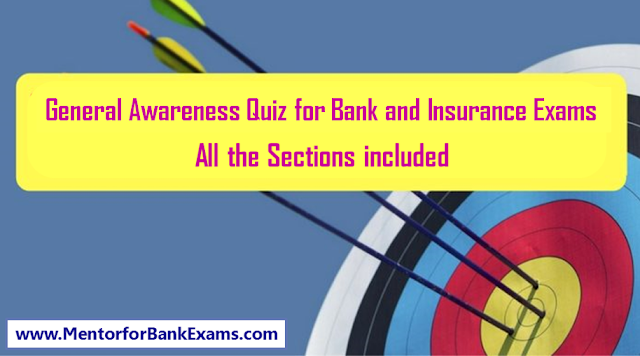 Basel-II norms are associated with which of the following aspects of the banking industry? Explanation: Basel II is a set of international banking regulations put forth by the Basel Committee on Bank Supervision. It established risk and capital management requirements to ensure that a bank has adequate capital for the risk the bank exposes itself to through its lending, investment and trading activities. It is intended to enhance the quality of risk management and supervision. 11. When is the International Mother Language Day observed? Explanation: International Mother Language Day (IMLD) is a worldwide annual observance held on 21 February to promote awareness of linguistic and cultural diversity and multilingualism. First announced by UNESCO on 17 November 1999, it was formally recognized by the United Nations General Assembly in its resolution establishing 2008 as the International Year of Languages. It was a social movement built on the spirit to defend the rights to write in one's mother language. 12. Which of the following is the official currency of Bermuda? Explanation: The Bermudian dollar (informally called the Bermuda dollar) is the official currency of the British Overseas Territory of Bermuda. 13. Which of the following countries have Capital 'Zagreb'? 14. Hemis National Park is related to which state of India? Explanation: Hemis National Park is a high altitude national park in the eastern Ladakh region of the state of Jammu and Kashmir in India. World famous for being the best place to see the snow leopard in the wild, it is believed to have the highest density of snow leopards of any protected area in the world. 15. Rajiv Gandhi Wildlife Sanctuary is located in which state? Explanation: Nagarjunsagar-Srisailam Tiger Reserve is the largest tiger reserve in India. The reserve spreads over five districts, Nalgonda District, Mahbubnagar district, Kurnool District, Prakasam District and Guntur District. It was renamed as Rajiv Gandhi Wildlife Sanctuary in 1992. 1. Which of the following shortcut keys is used to copy formatting? Anil, Anuj, Anita, Arun, Anu, Aarti, Ajay and Akshay are eight persons of a family, There are three married couples in the family. They are from three generations. There are no unmarried female in the family. Among them there are three doctors, two engineers, two authors and one painter. Each person has only one occupation. 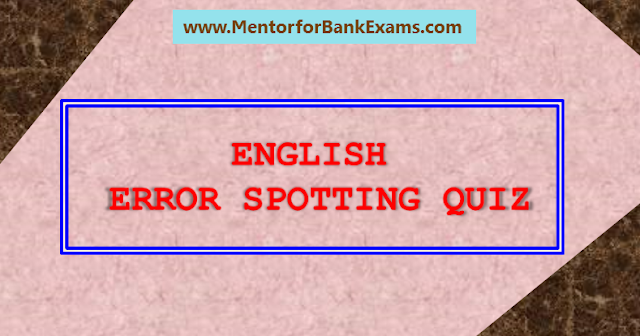 Directions (1 – 15): Read the sentence to find out whether there is any error in it. The error, if any, will be in one part of the sentence. The number of that part is the answer. If there is no error, the answer is (E). Ignore errors of punctuation, if any. 1. Where is Insurance sector placed under GST slab rate? 1. By default, word 2010 saves a document with the _________ extension. 1. The door of Aditya's house faces the east. From the back side of his house, he walks straight 50 meters, then turns to the right and walks 50 meters, then turns towards left and stops after walking 25 meters. Now Aditya is in which direction from the starting point? Directions (1 – 10): Rearrange the following sentences in the proper sequence to form a meaningful paragraph; then answers the questions given below them. 1. A.The economic loss is only secondary to the human suffering but is also substantial. B.This consists of reaching late, blaming others, the visit by VIPs announcing a relief package including compensation for those affected and then forgetting all about it. 1. The headquarters of the International Union for Conservation of Nature (IUCN) is located in ________. 1. Which of the following is refers to a small, single-site network? Directions (1 – 3): In this question, the relationship between different elements is shown in the statements. These statements are followed by three conclusions. Mark your answer from the given options. 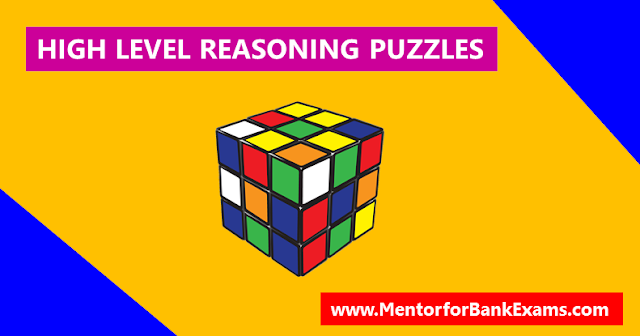 Directions (1 – 10): Each question below contains a statement with three blanks followed by four options. Choose which words can fill the three blanks and mark it as your answer. 1. It was an ‘historic Budget’ not only for the reasons _____by the finance minister, but also for the transformative leadership _____ by this government _____ sustaining the momentum of reforms. 1. Who was the head of 7th Pay commission? 1. A ______ is a collection of computers and device connected together. Directions (1 – 5): In each of the given questions, find the wrong term in the series. Directions (Q1 to Q5): Rearrange the following seven sentences (A), (B), (C), (D), (E), (F) and (G) in a proper sequence to form a meaningful paragraph; then answer the questions given below them. 1. The Fund of Fund for Start-ups (FFS) is being managed and operated by ________.